Between the French Revolution and the First World War Europe and America witnessed a golden age of medical image-making. The first generation of mass-market anatomical and pathological textbooks and atlases offered crisp, detailed colour illustrations of the human body in health and sickness, but they also embodied – literally – a revolution in ideas about life, disease and death. 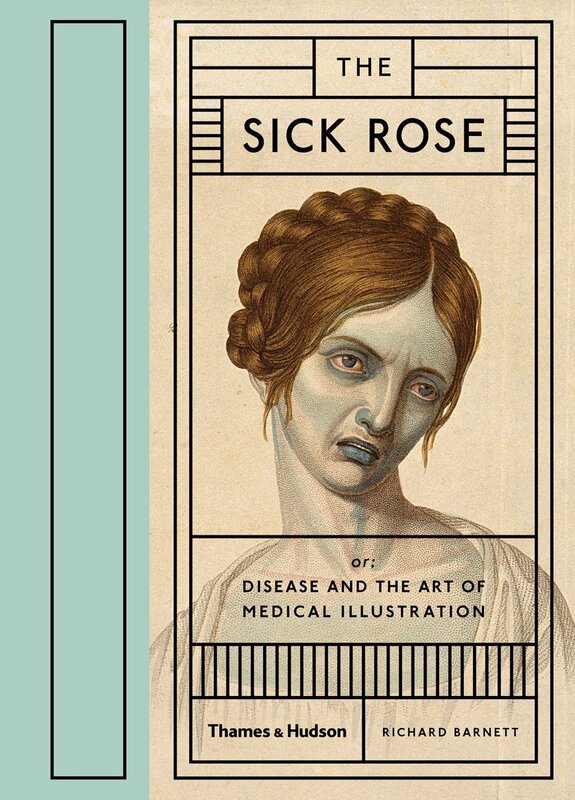 The Sick Rose is a new collaboration between Wellcome Collection and Thames & Hudson, drawing on the Wellcome Library’s peerless collection of historical books and pictures. It reveals a corpus of art that is beautiful and morbid, singular and sublime. 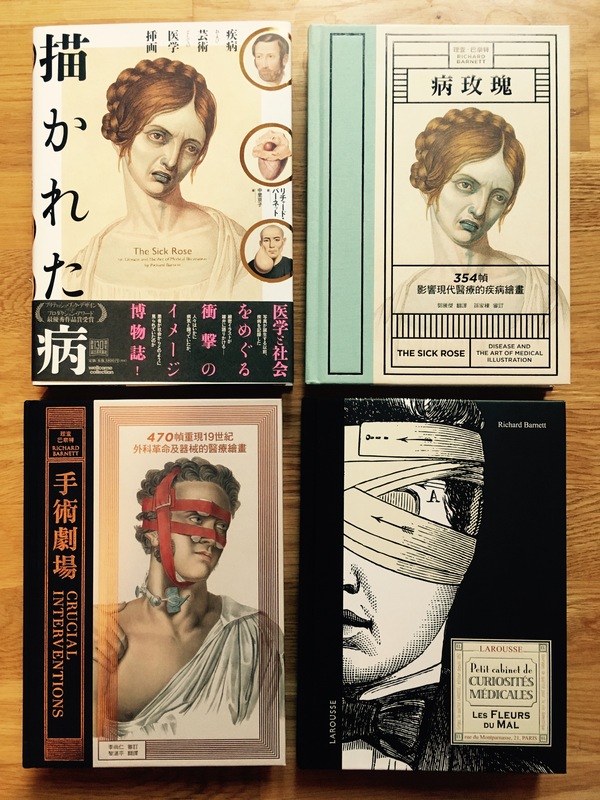 You can read more about The Sick Rose on the Thames & Hudson website, and buy a copy on Amazon.The Sick Rose is published in the US by DAP, in France by Larousse, in Japan by Kawade Shobo Shinsha, and in Taiwan by Rye Field Publications. Kate Wands at Thames & Hudson handles press & publicity enquiries: k [dot] wands [at] thameshudson [dot] co [dot] uk. The Sick Rose was was named Book of the Year at the 2014 British Book Design Awards. (The Book Depository also picked it as one of their Covers of the Year.) Here’s a piece I wrote for the Wellcome Library blog, on the ethics of re-making clinical images as art. Here’s a talk I gave on ‘The Theatre of Anatomy’ at the Royal College of Physicians of Edinburgh. Here’s an interview about the book with Georgia Cherry & Frankie Kubicki of Unmaking Things. Here’s an interview with Mark Dery for Thought Catalog. Here’s an audio interview with Desiree Schell, for the Canadian radio show ‘Science For The People’.